Falling rupee, rising oil prices and contagious markets, there cannot be a better time to remember the 10th anniversary of Lehman Brothers bankruptcy. Lehman Brothers went belly up on 15th September 2008. I'm sure many of you experienced the global market meltdown in 2008. It was a time when the global financial system simply fell apart. Most of the wealth built painstakingly over the years vanished in a matter of months. Financial markets across the world crashed like a house of cards. Stocks hit lower circuits frequently. Market depth and liquidity vanished. Exiting stocks became difficult. There were restrictions on short selling. Lehman Bankruptcy is a lesson which no one in the financial markets should ever forget. Because whenever there is another 'Lehman Crisis', you don't want to be at the losing end. On the contrary, you want to be amongst the very few who found opportunity in the crisis and made tons of money. Now if you want to be prepared to make tons of money then there is a golden opportunity for you. Ajit Dayal, our founder, has written a thought provoking piece on the Lehman crisis which will be published shortly. For those who were not in the market back in 2008. It's good to brush up on your history...you don't want to repeat the mistakes after all, right? I want to talk about this movie today as it is based on one of the four key pillars at the core of everything we stand for and do. The movie is about the 2008 global financial crisis. It interweaves key events with research and candid interviews of people in the know. It also features our very own ex-RBI governor, Raghuram Rajan. It is a great watch if you want to understand everything that happened and why it happened. It has five parts. The American financial industry was regulated from 1940 to 1980. Over the next 20 years, derivatives trading became very popular. They were outside the purview of regulators. All attempts to regulate these complex financial instruments were thwarted by regulators and government officials. This led to recklessness in the entire financial services industry. Home ownership is a big part of The American Dream. Politicians encouraged lending and relaxed rules so that even the average American could borrow money for his own home. This eventually gave rise to subprime lending. People with no income or jobs were given home loans. Why would a lender loan money to a person who does not have repayment capacity? They bundled subprime loans and sold them as 'collateralised debt obligations' (CDOs). Who would buy a CDO and why? Investors like pension funds, hedge funds, and sovereign wealth funds because credit rating agencies gave CDOs the highest possible ratings. Why did the ratings agencies give high ratings to CDOs? They assumed that not all homeowners would default at the same time. Even if some defaulted, they reasoned, the houses could be sold and the loan amount could be recovered. How did they insure this default risk? With credit default swaps (CDSs). Investors bought CDSs as an insurance policy against a default. Insurance companies like AIG sold CDSs not only to the investors who had an interest in the home loan or CDOs but to anyone willing to buy them. Since loans were bundled together and sold as CDOs, the lenders didn't care much about the credibility of individual borrowers. As long as they could convert their loans in to CDOs and pass the onus on to others, lenders were happy to offer loans to anyone and everyone who was willing to borrow. AAA ratings and CDSs gave a false sense of security to investors. Everyone was happy to be making money and turned a blind eye to the risk. It was a recipe for disaster. At this point, the crisis was inevitable. The music stopped when Bear Sterns ran out of cash in March 2008. Fannie Mae and Freddie Mac soon followed. Two days after Fannie and Freddie Lehman Brothers collapsed. Merrill Lynch was bailed out by Bank of America. AIG was taken over by the US government. All of these institutions were highly leveraged and yet had AAA rating just days before they went bust. Despite repeated warnings from various groups, regulators and government officials let the storm brew right under their nose. After the crisis, which cost taxpayers billions of dollars, one might expect a higher level of accountability and for the guilty parties to be punished. But nothing of the sort ever happened. On the contrary, top executives of these defunct firms walked away with billions of dollars in bonuses. And academics and economists who were expected to shape policy for the benefit of the public had conflicts of interest and collected huge sums from the companies involved in the crisis. The Obama administration came to power shortly after the crisis on the promise of 'change'. Obama promised to change the way the American financial institutions are run. But the administration's financial reforms were weak and barely changed how the financial sector functions. In fact, the very same people responsible for the crisis were appointed to key positions. Europeans tightened regulations, but Americans have resisted strong action. American financial institutions are bigger, stronger, and more vulnerable to crisis than ever before. Regulators cannot protect you from your own greed. The financial industry is inherently crooked: It works for its own enhancement of wealth, not for yours. We'll never be 'wrong' as long as we are empowering investors with credible, honest, and above all, unbiased opinions. Whether it is helping a low-risk investor pick safe stocks or showing a high-risk investor the right way to trade equities or identify smallcap stocks with huge growth potential we can help a wide range of investors achieve their financial goals. But what we are most proud of is helping cheated and dejected investors win back their trust in sensible investing. 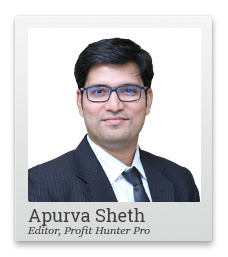 PS: Apurva Sheth, our techno funda analyst has been talking about a stock to profit from when 'oil is on the boil' - to read his fantastic premium trading newsletter, click here now. Equitymaster requests your view! Post a comment on "Be Prepared to Make the Most from the Next 'Lehman Crisis'". Click here!